The global machine condition monitoring market was valued at USD 1961 million in 2018 and is expected to reach a value of USD 2640 million by 2024, at a CAGR of 5.14% over the forecast period (2019 - 2024). The market is segmented by Type (Vibration Monitoring, Thermography Monitoring, Lubricating Oil Analysis), Monitoring Process (Online Monitoring and Portable Monitoring), Components (Vibration Sensors, Ultrasound Detector, Infrared Sensors, Spectrometer), Application, and Region. The global machine condition monitoring market was valued at USD 1961 million in 2018 and is expected to reach a value of USD 2640 million by 2024, at a CAGR of 5.14% over the forecast period (2019 - 2024). The increasing utilization of wireless communication technology and the growth in HVAC systems are major factors influencing the market. 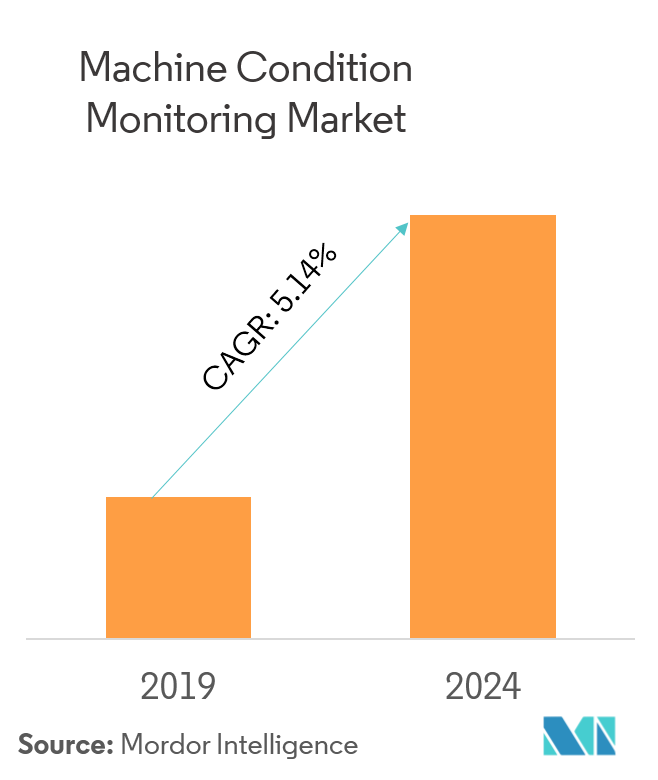 Other factors, such as the smart factory and transition from preventative to predictive maintenance are also contributing significantly to the growth of machine condition monitoring market. Maintenance productivity deals with the measurement of overall maintenance. It aims at minimizing the maintenance cost. This, in turn, results in optimal performance. Predictive maintenance techniques are designed for various verticals to determine the condition of equipment in order to predict when maintenance is required and where it should be performed. 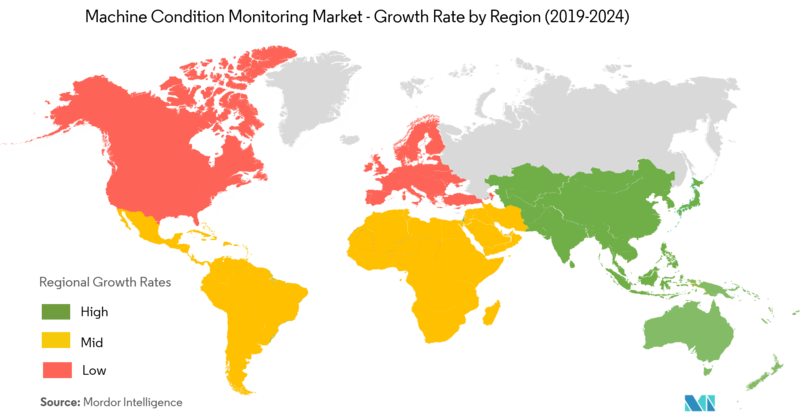 Several macroeconomic and geopolitical factors have had a telling effect on the current state of the global condition monitoring equipment market. Economic turmoil in different countries has been an area of concern for the market for the past 4 to 5 years. The lack of substitute products in the market has helped market incumbents to retain their dominant positions in the past; however, this scenario has changed in recent times, with companies offering highly advanced yet easy-to-use systems, incorporating the latest advances in digital electronics, software, and processing technology. Machine condition monitoring is the process of monitoring the condition of a machine with the intent to predict mechanical wear and failure. Trends in the data provide health information about the machine and help detect machine faults early, which prevents unexpected failure and costly repair. Sensors are devices, which monitor a parameter of a system. Vibration measurement has become an important method in mechanical structural product’s research, design, manufacturing and maintenance. Vibration sensors are further segmented into different accelerometers,, which measure the acceleration of a body that is in motion. Proximity probes are specially used to monitor vibrations of a journal bearing equipped machinery; they provide vibration measurement relative to the shaft. It has a major application in heavy machinery industries, such as power and gas, and manufacturing. 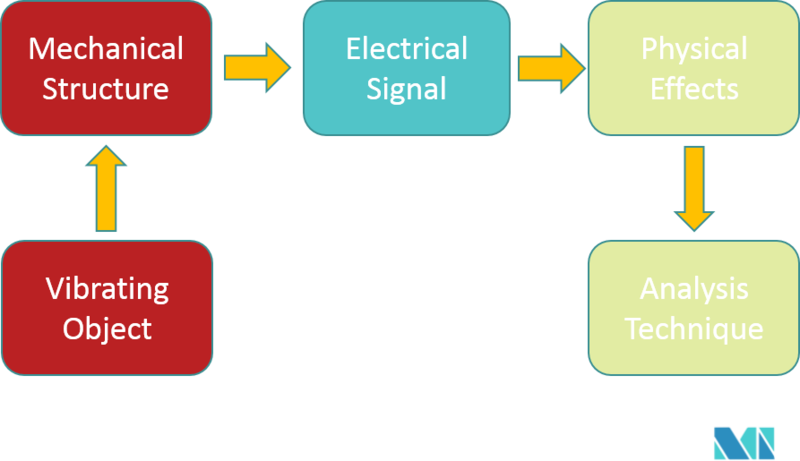 It also has widespread applications in the automotive and aerospace industry since they employ a dynamic environment that requires continuous monitoring and have negligible scope for error. 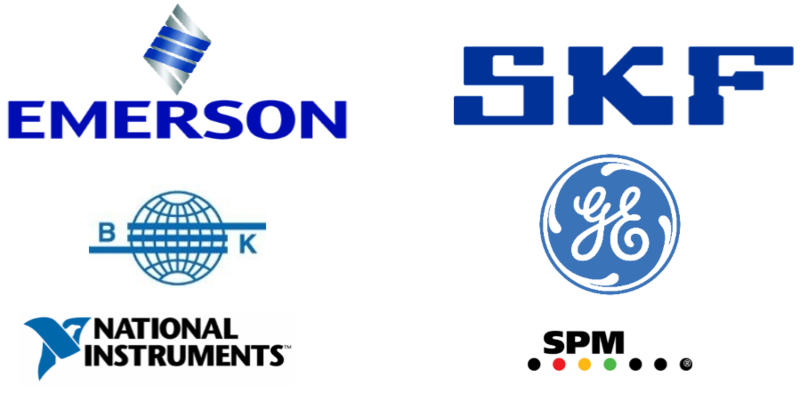 Vibration sensors account for a large share owing to their use in vibration conditioning monitoring systems. Their share is expected to increase with advances in sensor technology and with the availability of non-contact sensors. As a global aerospace hub, it is also home to the leading players from all the defense and civil aviation market segments. In the next 20 years, it is estimated that nearly 30 to 35 thousand new aircraft will be put into service in order to meet the global aviation demand. Increasing need to replace old and low-efficient aircraft and rapidly growing passenger volumes are driving this market,, which in turn drives the market for machine condition monitoring equipment. Germany is investing significantly in offshore wind power projects. More than 3,000 MW of offshore wind power was connected to the European grid in the recent past, with the vast majority coming from Germany. There is a direct correlation between the threat of new entrants and the height of barriers posed by the market for new entrants. The machine condition monitoring systems market poses relatively high barriers to the entry of new players. The presence of several established firms makes it harder for new entrants to gain direct access to channels of distribution. 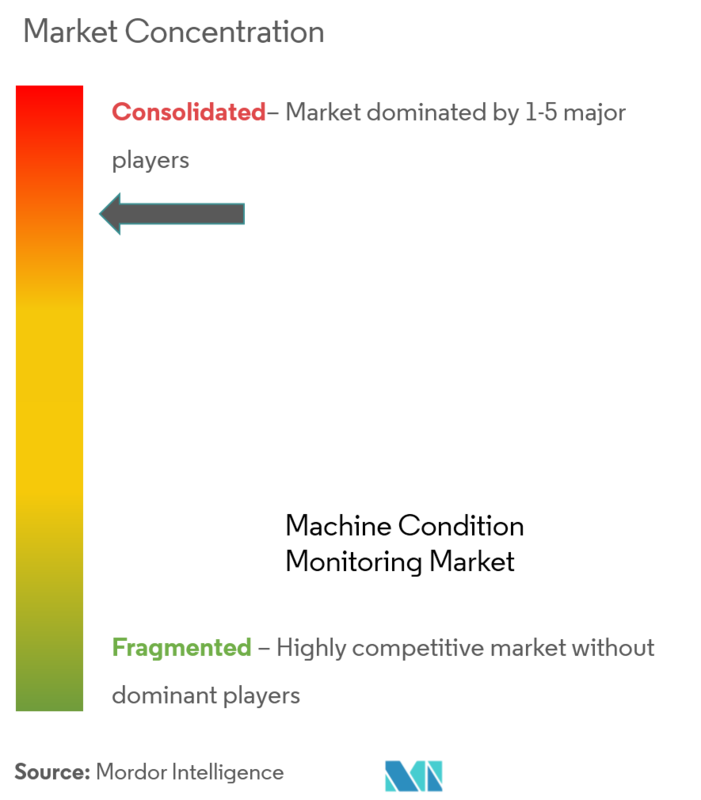 The technologically intensive nature of the market will also have an effect on the barriers to entry for new players, as they need to keep track of innovations to remain relevant and competitive in the market. GE Digital expanded its business and Asset Performance Management (APM) coverage by as it has acquired Meridium Inc.,, which is an APM software leader. This acquisition helped GE Digital to accelerate its comprehensive APM offering and provide a solution that unifies real-time analytics with reliability-centered maintenance best practices, delivering a complete APM solution. Brüel & Kjær Vibro acquired the US-based Setpoint vibration monitoring platform, which is renowned for its state-of-the-art machine protection and condition monitoring systems, which utilize the powerful OSISoft PI Historian. The Setpoint product line will be an essential part of the B&K Vibro offering in combination with the existing VIBROCONTROL 6000 Machine Protection System and Compass 6000 Condition Monitoring System and their well-known portfolio of professional system engineering and field services.